Through more than 18 years of experience in Banking and Finance, Cameron has developed an extensive operational knowledge of the industry. 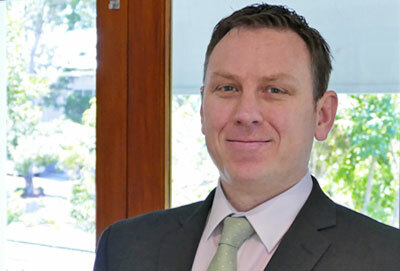 Having previously worked for one of the ‘Big 4’, for the past 10 years Cameron has specialised in the provision of finance and services to Management and Letting Rights operators as a Senior Commercial Relationship Manager with a larger regional Australian Bank. You can download the information detailed within the ‘Cameron Wicking Profile’ section as a printable PDF for future reference. Click here to access the PDF document. He has achieved professional success in expanding and managing strong portfolios and prides himself on building lasting relationships with his clients. Cameron holds a Bachelor Degree in Economics and a Diploma of Finance and Mortgage Broking Management. He is also an MFAA accredited Credit Advisor. As a family man Cameron loves spending time with his wife and two teenage children. He enjoys camping, archery and appreciates a nice drop of red wine. Cameron holds a Bachelor Degree in Economics and a Diploma of Finance and Mortgage Broking Management.